Often times divorce means having to give up the family home. This can be very difficult for all involved- emotionally and financially. We have partnered up with amazing class act female Realtors all over the country that understand the emotional and financial impact of divorce. Our BitterSweet Moves program will provide you not only the names of the top agents in your area, as a Bittersweet Diva we have arranged to donate $500.00 towards your closing costs*, simply by working with one of our affiliates! Now that’s sweet! Use the cash you’ll save to pay debt, buy new furniture for your fabulous new pad, a girls “recovery trip” to an amazing spa, or perhaps Botox! *Amount of donation is dependent on purchase price. To qualify, for home purchases, donation must be approved by purchasers lender and said amount must appear on the HUD-1 Settlement Statement. On a sale of a home, amount of donation will be reflected in a reduced commission rate by Listing Agent. Looking to buy or sell and get cash in your pocket? Inquire at: info@bittersweetmoves.com and let them know what you are looking to do and that you are a “BitterSweet Diva” to qualify for the cash back. 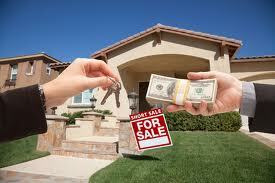 *Amount of cash back is determined based on selling price and Realtor’s commission on home.